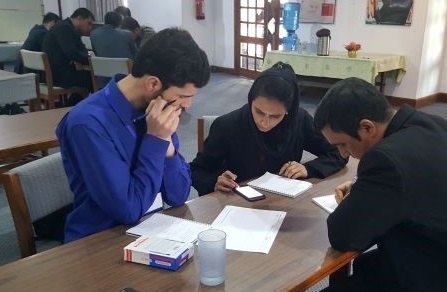 Leading water managers from Afghanistan, including the Director General of Kabul River Basin, met in Nepal this week to participate in a high level water resources management training programme. Around 35% of Afghanistan’s population relies on the Kabul River Basin, making it the country’s most important river basin. Kabul is the fifth fastest growing city in the world and among the world’s most water-stressed cities. Some parts of the country are physically water scarce and people lack access to safe drinking water. However, this crisis may not be because of insufficient resources and could be improved with adequate infrastructure and effective management. Australia’s CSIRO and ICE WaRM significantly contributed to the delivery of an intensive training programme which was developed by the International Centre for Integrated Mountain Development (ICIMOD). Multiscale Integrated River Basin Management (IRBM) from the Hindu Kush Himalayan perspective, was delivered in Kathmandu, Nepal from the 27th January until the 8th February and was organised under the auspices of Strengthening Water Resources Management in Afghanistan (SWaRMA). 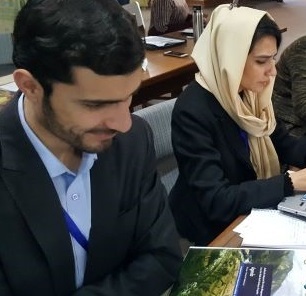 The extensive training initiative introduced the 14 leading Afghani water managers to world leading water science and technology including Source and other modelling systems. ICE WaRM’s Executive Sector Specialist, Andrew Johnson, joined Shahriar Wahid and Sue Cuddy from CSIRO in delivering in the programme which has been supported by the Australian Government. Mr Johnson provided an overview of water management in Australia with specific reference to the Millennium Drought and factors leading to the establishment of the Murray Darling Basin Authority. Following this presentation, he led the group in an interactive exercise which introduced Water Trading. “Initially the participants were hesitant to consider the concept of water trading but by the end of the session they had a clear understanding that water has a value and that there is a need to consider priorities for allocation especially for critical human water needs.” Said Mr Johnson. Recognising the unique situation in Afghanistan, participants showed great interest in learning from Australia’s experience and highly valued the opportunity to better understand mistakes that had been made in the hope of avoiding anything similar. Participants agreed that the highest priority for the provision of water was for human need, but vigorous discussion also progressed to the economic value of water in relation to industry, livestock and agriculture. ICE WaRM highly values collaborative partnership with CSIRO and ICIMOD and the opportunity to contribute to improving water resources management in countries facing critical water issues.